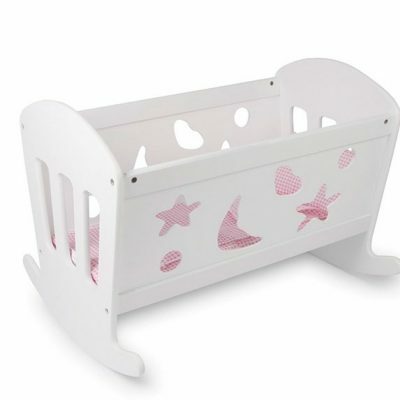 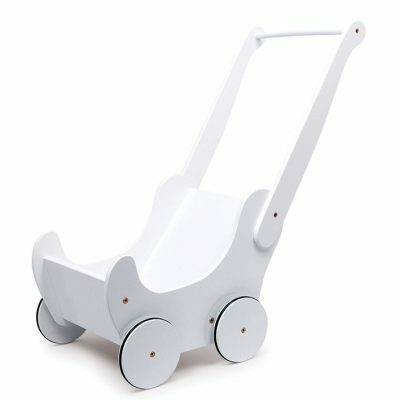 This fabulous white varnished wooden cradle is excellent quality and beautifully decorated with moon and star shapes. 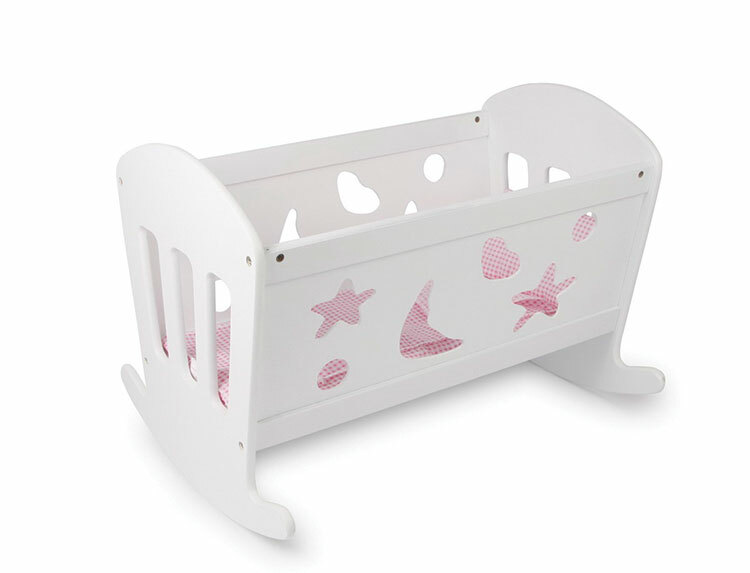 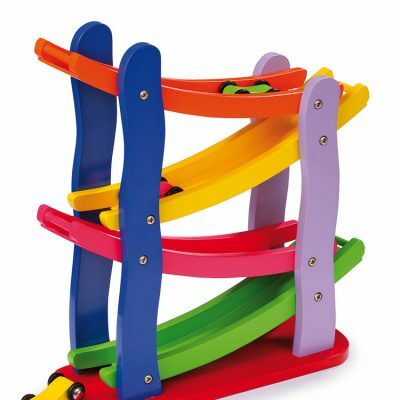 The cradle can be rocked gently back and forth to help baby doll fall fast asleep. 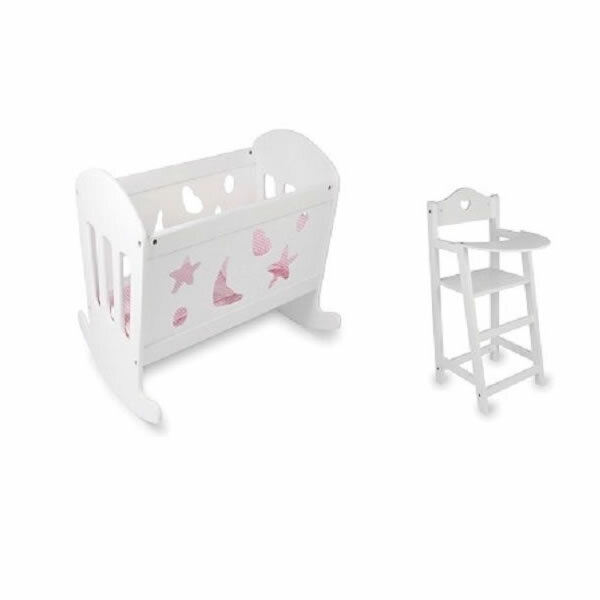 Comes complete with mattress, bedding and pillow.